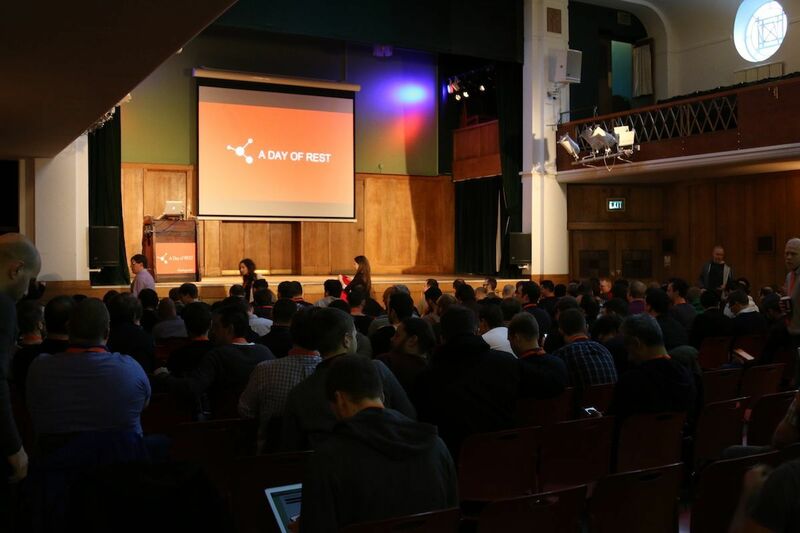 My first conference of 2016 was A Day of REST conference in London. It was the first event I’ve been to in a while that wasn’t a WordCamp and focused specifically on the WordPress REST API. As my experience and expertise has increased in web development (and WordPress) I have found WordCamps to be a place to meet friends and give talks myself rather than to learn. This isn’t a criticism as I still thoroughly enjoy them but I also enjoy learning new and more complex topics; this was obviously Human Made’s thinking when they organised the conference. There was 8 talks scheduled during the day. From the explanation of APIs in general and where the REST API sit in the ecosystem to examples of how it’s used at Wired.com and the New York Times. There were technical elements to the talks but ultimately they were about experiences and the direction taken by individuals and companies – something as a learner than is invaluable. It’s useful to know how the guts of something works but it’s more important to know where you’re going with something and to have a strategy. It was great to hear both the positive and negative experiences of the speakers (sometimes the negative experiences are more valuable) and it was even better to see how, even though I doubt the speakers sat around and planned their talks in unison, each speaker referenced another in their talks. When the topics are related, it’s a challenge to not step on one another’s toes and a big plus to actually enhance one another’s talk. I’m still looking forward to my next WordCamp but I have my eyes set on similar events to these are Human Made and others organise them in the future.